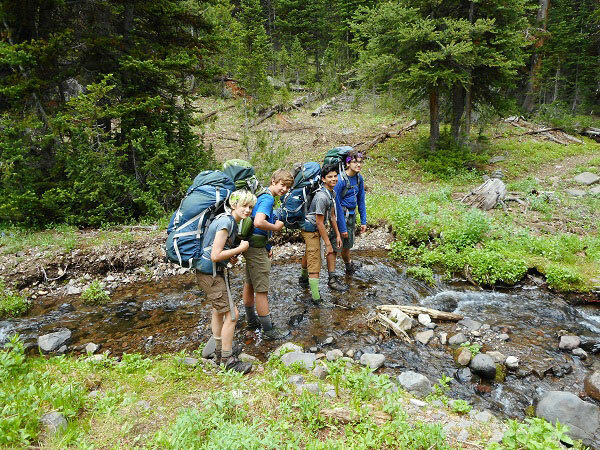 Through Widjiwagan’s trip progression, campers gain confidence as they build skills. By living with other campers, they learn to work together and demonstrate the values of caring, honesty, respect and responsibility. Camp Widjiwagan offers programming for teens, ages 11–18. We offer canoe trips for a variety of skill levels. Our trips progress in difficulty, giving campers new challenges year after year. Widji offers many backpacking trips throughout the country and into Canada. We welcome parents/guardians, family and friends to visit their camper at the end-of-session banquet. After a Widji group gets off trail, they clean their equipment, check in their gear, shower and then prepare to celebrate their trip with a banquet dinner and reflective closing campfire. Boys Outdoor Leadership Development/Girls Outdoor Leadership Development is a week long session in northern Minnesota that teaches teens leadership skills. Campers need to have completed 6th grade and be between the ages of 12-18.